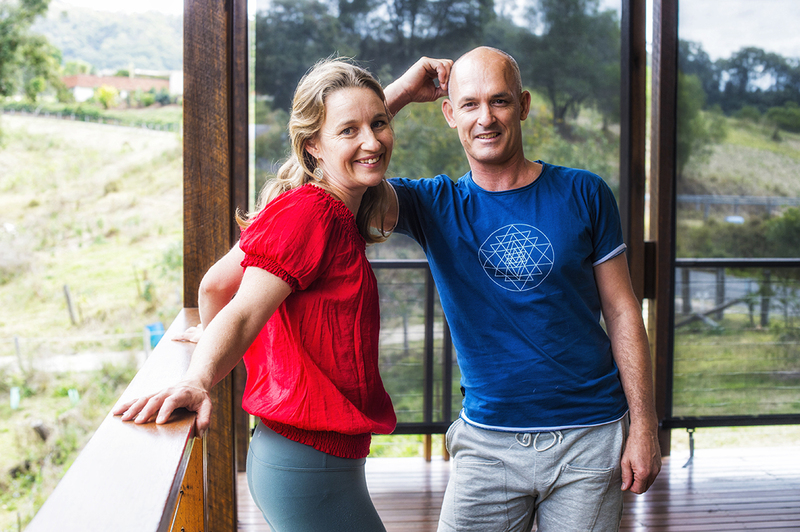 This is a captivating weekend experiencing first hand, in the beautiful surrounds of the Upper-Brookfield Sanctuary, what it means to be at one in body and mind in order to rejuvenate. With a combination of evidence-based knowledge and traditional wisdom you will learn processes of Biomedical Yoga Therapy, Meditations, as well as specific processes for pain rehabilitation that focus on the healing capacity of the mind and body. This 2 day workshop is a professional development program for those wishing to incorporate yoga therapy tools and mindfulness into pain management programs and for interested members of the public. Chronic pain is a growing concern in Australian society; more and more people are suffering regularly with moderate to intense pain. If you have ever experienced any type of body aches and pains, whether that be from physical fatigue, mental exhaustion, or perhaps you simply feel that your body is not performing in the capacity you would like it too: this is the weekend workshop for you! Learn how to work with pain and discomfort in your own body and the science of pain rehabilitation to assist others. This weekend will combine evidence-based knowledge with traditional wisdom in combination with Biomedical Yoga Therapy, Meditations, as well as specific processes for mindful pain rehabilitation. Join Senior Teacher Craig Smith for a weekend focused on the healing capacity of the mind and body through understanding the core principles of Yoga Therapy; “breath and spine”. Complementary therapies for back pain have an abundance of evidence-based literature asserting their effectiveness. Moreover, there is growing awareness of the body-mind connection as it relates to the inflammatory response – this is a vital link when considering treatment for issues such as lower back pain, which is the most common complaint in complementary medicine. Furthermore, a recent Victorian article in The Age urged to prescribe yoga and mindfulness to fight back pain, such antidotes are being encouraged more and more world-wide as research uncovers more and more of what tradition has taught for centuries. Traditional yoga therapy wisdom behind the body-mind-pain connection and how this relates to holistic well-being. What is pain? Is pain simply in the mind? Is pain a symptom of emotional disturbance? Both our beliefs and the cultural context of a person’s understanding of pain can affect the way they feel pain. Pain is a subjective phenomenon in which context fundamentally affects experience. Many of us were raised in a culture where pain was surrounded by shame, therefore when we come together to learn and speak about pain, there is a fundamental healing effect that lies in the benefits of pain externalisation: making sense of suffering emotionally and intellectually with words, images, art and sound. Together we can learn to ‘suffer better’ by learning about the way we feel pain which can and may be affected by social conditions and our perceptions. So, let us move together, breathe together, talk about pain, using the very best science to understand its roots in brain, mind and body. In this informative day of experiential learning, Celia focuses on head, neck, and shoulder pain. Both morning and afternoon sessions will offer a multitude of body, mind, and yoga therapy. Postures, poses, breathing, and relaxation techniques for upper body pain and misalignment will focus on an awareness of the body – Research has shown that “these movements are ‘intricate’ and highlight the body - mind nature of yoga that emphasizes awareness, concentration, and bidirectional communication between the mental, nervous, skeletal, and muscular system” (Crow, Jeannot, & Trewhela, 2015). Though not a new concept, recent FMRI studies and data analysis confirms connections between chronic pain in comorbidity with anxiety and depression. Even if you don’t suffer from anxiety or depression, stress and fatigue can give rise to pain in the body. As such, there is an open awareness to the benefits meditation offers for both mental and physical wellbeing. The liberation of body and mind comes with deep presence and the ability to attune to your bodily sensations. Learn how to manage emotional and physical pain through yoga therapy and meditation. If you experience any amount of pain, whether it is mild to chronic, yoga and/or meditation is an amazing therapy that can offer you relief where modern medications may not. This fulfilling afternoon is designed to deepen awareness in the body’s fibrous connective tissues, how it supports the musculoskeletal system, and how to bring restoration through release to areas that bring discomfort or pain. Experience the total bliss of slower deep release with yoga therapy for back care with the wonderful Senior Physiotherapist and Senior Yoga Therapist, Chanthalah Webster-Tight. As the functional nature of the fascia is an all-encompassing connector and sensor, our bodies are intrinsically designed for holistic living. Therefore, when there is trauma in one area it often causes ongoing pain throughout the body and a decreased inner awareness or proprioception. This retreat will offer you release therapy that attends to proprioception and deepening awareness that reduces pain and ultimately bring about holistic well being.